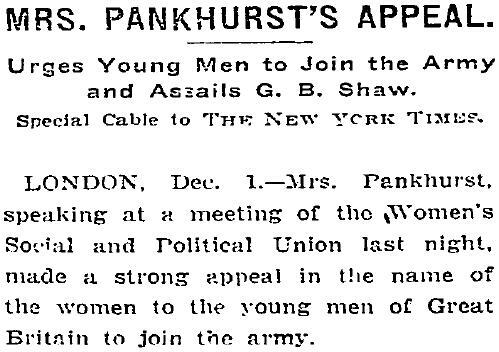 First wave feminist pioneer/suffragette Emmeline Pankhurst pressures men to fight in WWI for women December 2, 1914. So women were equal when it came to deserving the right to vote like men but when it came to war all of a sudden women needed chivalry according to her and the feminists. See the Double Standard?